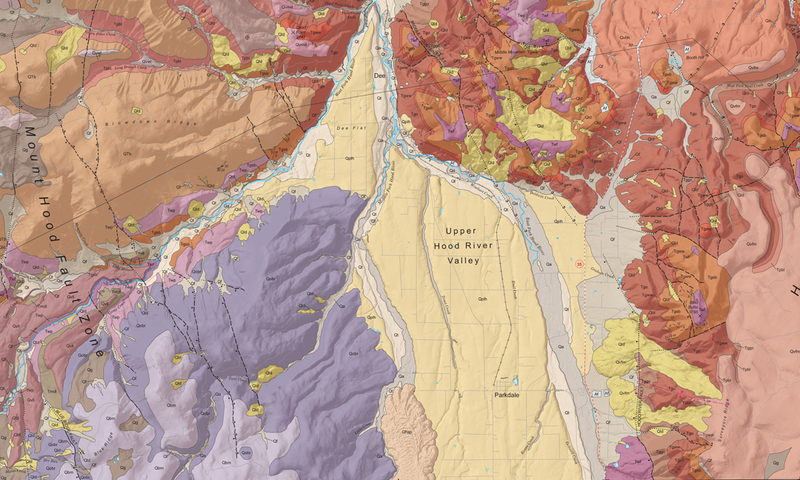 Project: STATEMAP is a component of the USGS National Cooperative Mapping Program and has provided core funding of DOGAMI’s geologic mapping program for two decades. The maps below are one product of this program. The maps were created with data compiled, collected, and recorded by DOGAMI geologists. Following FGDC symbology standards, they were produced with an enormous amount of geologic and ancillary data. Geologic unit information was included in the maps as well as time rock charts, geologic cross-sections and various location maps. These data correlated with the report and geodatabase components of the project. 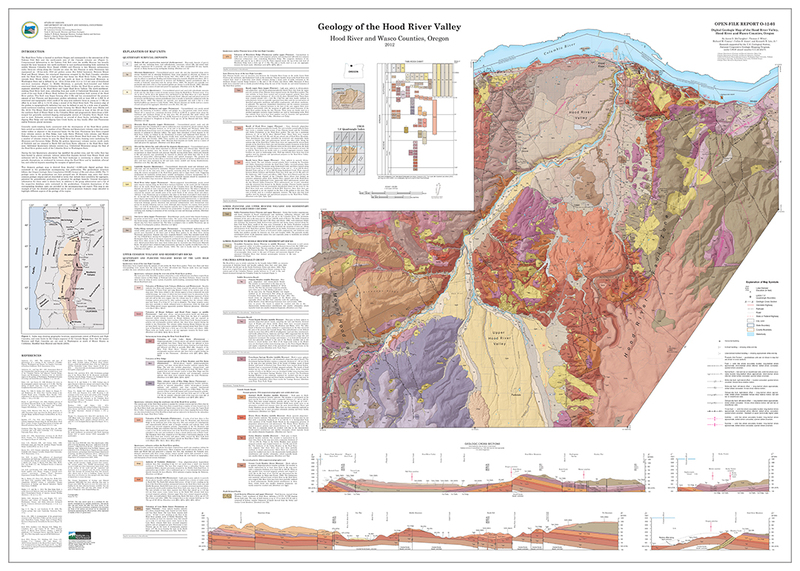 The Hood River Valley Thematic Geology Map. 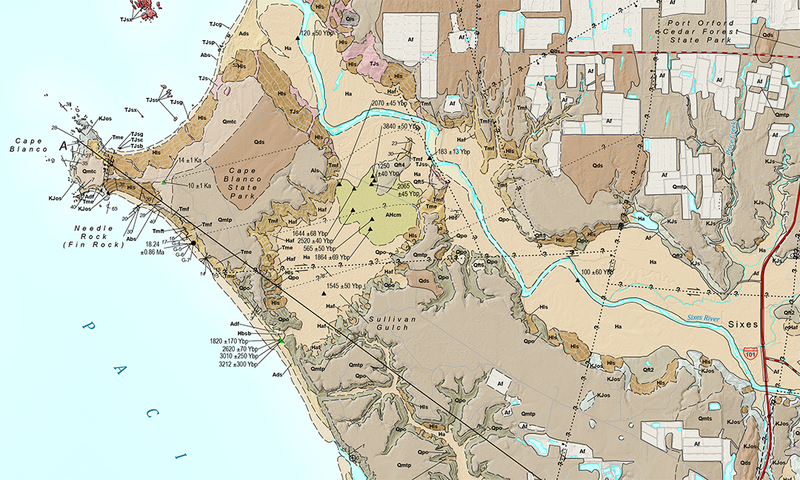 A detail view of the Cape Blanco and Sixes geologic quad sheets showing the large amount of geologic detail and cartographic information. 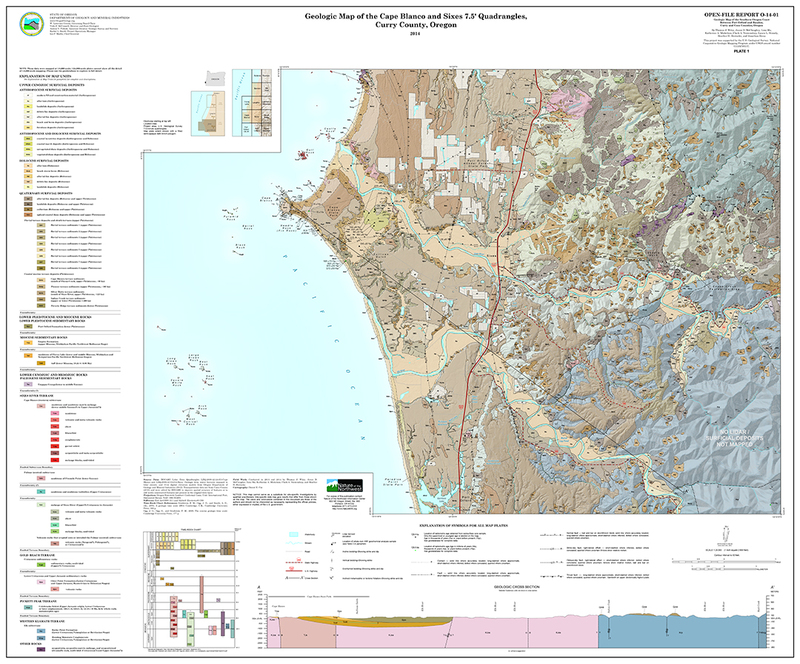 The full view of the Cape Blanco and Sixes geologic quad sheets.